In my book, called BeHappy! - Your Guide to the Happiest Possible Life, I devote a whole chapter to understanding who you are as a “foundational” means to happiness (click here to get a free autographed copy sent to you). 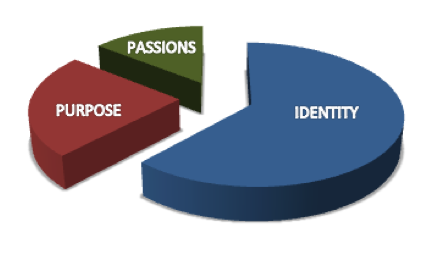 As described in my book, as a bit of background, it is important to first consider the relative correlation between the first 3 of the 4 things listed above - your identity, purpose and passions, and the degree to which they can influence happiness. In Part 2, we will get into “purpose” as the next foundational component of happiness. Click here to go to Part 2 (if after July 6, 2015).